Born in France and a world traveler, artist Sophie Aymon is said to bring portraits from reality to mystery. She's passionate about the power of glance, with her unique and strong interpretation which captures the essence of a look and mesmerizes the viewer. 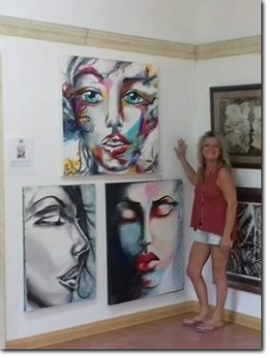 With international exhibits and collections in Europe and Japan, Aymon is now settled in Costa Rica and her works on exhibit at the Hidden Garden Art Gallery.